Delta has pulled the plug on its Memphis hub, much as American did with Nashville in 1996. Southwest Airlines helped filled the void left in Nashville. A similar scenario seems likely for Memphis. Memphis, Nashville feels your pain. 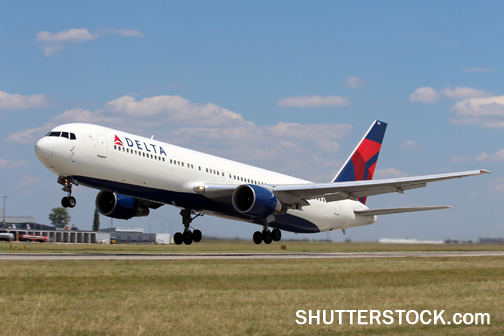 When Delta announced earlier this month it would no longer use Memphis International Airport as a hub – cutting 230 jobs in the process – it brought back bad memories for the Music City, dark memories of 1996. Nashville was riding high. Then-Mayor Phil Bredesen had already landed the National Football League’s Houston Oilers and was leading a revival of the city’s downtown, anchored by the rising $160 million Nashville (now Bridgestone) Arena. Six months later, a franchise would be granted for its primary tenant, the National Hockey League’s Nashville Predators. The city’s reputation as a health care center was growing, the music industry was riding high, the Opryland Hotel and Convention Center had grown into a world-class facility and the Midstate’s population was swelling. Then American Airlines – the same airlines that put the “International” in Nashville International Airport with non-stop flights to London – pulled the plug on its Nashville hub. Nashville, despite its hot streak, had been dumped. It’s not you, AA whispered, it’s us. Fortunately for Nashville, the rebound relationship with Southwest Airlines turned into a pretty good marriage. “It was a huge blow to our ego and I would say everyone’s feelings were hurt,” says Butch Spyridon, who since 1991 has served as president and CEO of the Nashville Convention and Visitor’s Bureau. “I think it’s getting over the mental and philosophical blow that occurs with losing that hub,” Spyridon explains, adding the focus should be “on where your growth can and should be, and how do you overcome it. “I think the best thing that can come out of this for Memphis is that Southwest and AirTran are sitting there ready to help fill some of the voids and the city should take advantage of that,” he adds. Southwest has announced it will enter the Memphis market this November. American Airlines announced the development of the Nashville hub in June 1985 as a base of operations for expanding service to the eastern U.S. At the time of the announcement, American’s only other hubs were in Chicago and Dallas-Ft. Worth. Today, nearly 30 years after American Airlines’ announcement of the Nashville hub and 17 years after it ended, the airline’s relationship is just now winding down. It recently renegotiated a lease that will give hub space back to the airport. And while hashing out the final lease terms in court isn’t exactly good times, it does offer an end in sight for a sometimes rocky relationship between the airline and the city. While the airport was busy securing other carriers to offer additional service to Nashville travelers, the city was busy trying to minimize the damage caused as convention business began to falter from the news. “We had a marketing plan that laid out our message, our strategy and how we were going to overcome the PR black eye, and then the reality of less service nationwide in the marketplace,” Spyridon says. “It has been a few years, but our strategy was to talk about it, and talk about how we were going to overcome it. Memphis does have the edge on 1996 Nashville. Back then, business travelers expected the best of the best. In 2013, leg room, while nice, in no way trumps low rates in today’s market. “It’s easier to talk about it today because value and cost is so much more important than whether or not I have a first-class seat,” Spyridon says. “But at the time, largess was pretty prominent in the meeting industry. Despite losing the hub, Spyridon says, Nashville was still in a good place in terms of business travelers because of the Delta addition at the Opryland Hotel and Convention Center, which opened just months prior in June. Delta’s opening made Opryland the largest hotel and convention center complex at the time, with nearly 3,000 rooms and 600,000 square feet of meeting space. It was reported in 1996 that a few months after opening, 3.7 million room-nights had been contracted though 2013. The airline industry as a whole faces difficulties through mergers and rate hikes, both of which can lead to a hub like Memphis being closed. “Since 2008, you have a lot of merger transactions which have resulted in a much more compact and consolidated industry,” says Bob Mann of R.W. Mann and Company, an airline industry analysis and consulting firm, with clients such as American Airlines, Trans World Airlines, Air Canada and British Airways/Speedway Consulting. As a way to save money, airlines opt to close low-performing hubs. “There is less flying today than what you saw in 2007 in terms of the number of flights, which contributes to eliminating marginal flying and concentrating the remaining flying in the very strongest hubs,” Mann says. Southwest, which is scheduled to begin Memphis service Nov. 3, will have twice-daily non-stop service from Memphis to Houston Hobby and Tampa. AirTran flights to Baltimore/Washington, Chicago Midway and Orlando, which begin on August 11, will be rebranded as Southwest. With Southwest’s flight schedule, Memphis will see an increase from four to five nonstop destinations served and an increase from 77 to 80 total markets served (including one-stop) despite Delta’s departure. Travel is again on the rise, and not just the business kind, as Nashville can attest with its rise in tourism. And while it may not ever be on par with vacation destinations like Orlando and Las Vegas, Nashville has a good mix of business travel and tourism, especially now with the new convention center open. “We are one of the five fastest-growing airports in the country, service-wise, and so at the end of the day, especially now, demand drives the decisions more than marketing and more than incentives and more than anything else,” Spyridon says. In March and May 2013, Nashville International experienced its highest all-time passenger levels, exceeding 1992 figures at the height of American hub activity, says Nashville Airport spokesperson Emily Richard. Last year, 1.4 million passengers flew out of Nashville on American. More than 5 million of them flew Southwest. Southwest currently holds 53.1 percent of the market share at Nashville with 84 daily flights. Delta follows with 35 flights (16.3 percent), American with 34 flights (14.2 percent) and US Airways with 16 flights (7.2 percent). Richard says the only city that American was flying to in the early 2000s that Nashville has not recouped is to the Tri-Cities. Boston and St Louis are the other two cities that were dropped but have since regained service with Southwest. Memphis would do well to embrace Southwest as it expands in their market, Spyridon advises. “In the long run, it helped tourism because Southwest was more leisure-travel focused, and they brought the fares down in the market,” Spyridon says.